Edmund Kennedy was one of Queensland's earliest explorers who set out to traverse Cape York Peninsula. The survey party faced starvation and illness and jetisoned most of their survey equipment in an attempt to reach the supply ship. Kennedy and his Aboriginal assistant were attacked by local Aboriginal people at Escape River in November 1848, and Kennedy was killed. 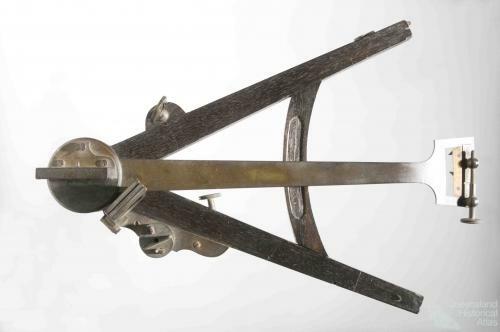 This octant was recovered from an Aboriginal woman at Pascoe River on Cape York in 1899 in the vicinity of the expedition. It is identical to the instrument used by Kennedy to navigate and chart his journey.